The IRS has been cracking down as tax fraud surges. Identity thieves love tax season. "A thief who has your personal information can file a tax return before you do, collect a fraudulent refund and leave you waiting for many months to get your own refund and clear up the problem," said Neil Chase, vice president of education at LifeLock. And it's only getting worse. 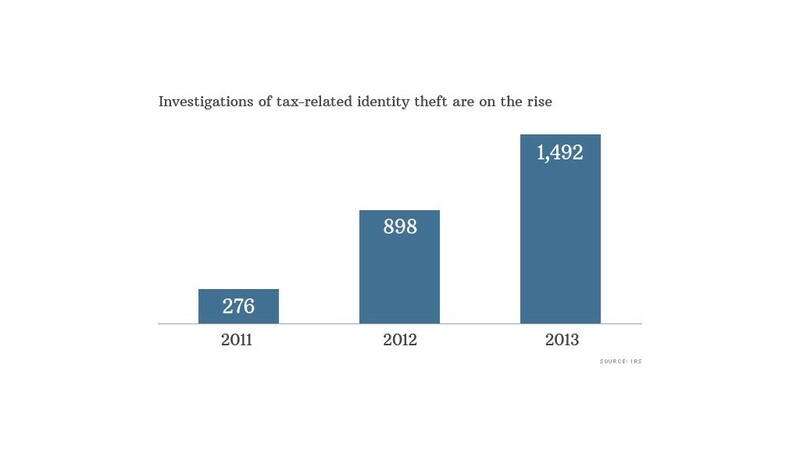 Last year, the IRS launched 1,492 investigations into tax-related identity theft, where criminals used stolen personal information like Social Security numbers to claim fraudulent refunds. That's up 66% from 2012 and more than 400% from 2011. Last month, the IRS said a nationwide phone scam had swindled $1 million from consumers in what the agency called "the largest scam of its kind." Other scams are carried out through email, and ask for personal information like a Social Security number or birthdate -- which can later be used to claim tax refunds. To protect yourself, be wary of any correspondence from someone claiming to be from the IRS. The agency says it usually reaches out by mail, and it will never ask for personal information via email or phone. If you receive something questionable, reach out to the agency yourself and verify that it's legit. Be careful about giving out your personal information. One bad employee at your doctor's or dentist's office, at a police department, or even a school, could potentially steal your identity. And don't ever give away more personal information than you need to, says Chase. "Any time anyone asks you for something, ask them why they need it," he said. To help you detect if you've been scammed, be sure to regularly monitor your bank accounts and credit card statements for any suspicious charges. Data breaches -- when hackers break through a company's privacy walls and access private customer information -- are becoming increasingly common. And once that information is in a fraudster's hands, it's easy for them to file a tax return in your name. If you know -- or suspect -- that your information was compromised during a data breach, consider signing up for identity theft protection or start vigilantly monitoring your accounts on your own. And be sure to investigate any charges you don't recognize, no matter how small they are. "If someone has a stolen card, they will often test it with a small transaction to make sure the card is active before making bigger transactions," said Chase. And because there's a good chance you will be more susceptible to identity theft after a data breach, make sure to strengthen your passwords -- using at least 8 characters, including upper- and lower-case letters and numbers, said Eva Casey Velasquez, president of the Identity Theft Resource Center. It's not as common as online identity theft these days, but many fraudsters still use the old-school strategy of stealing mail from mailboxes to piece together the information they need to file a tax return in someone else's name. Others will even resort to dumpster diving. 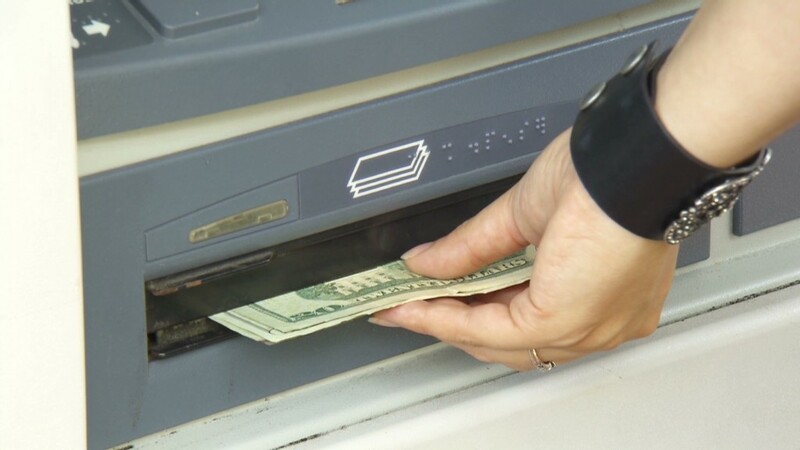 "It's low-tech, but it's still an easy way for [identity thieves] to get your information, so shred all of those personal documents," said Velasquez. "File first, beat the crooks," said Velasquez.